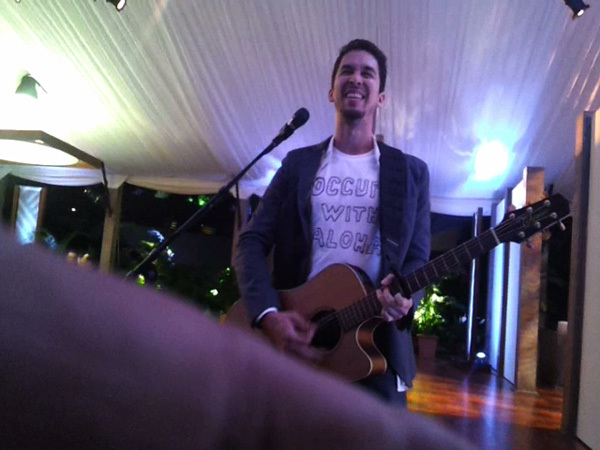 In a bold move, well-known slack-key entertainer Makana, invited to play for APEC leaders Saturday, unbuttoned his jacket during his performance to reveal an "Occupy with Aloha" t-shirt that he had made. 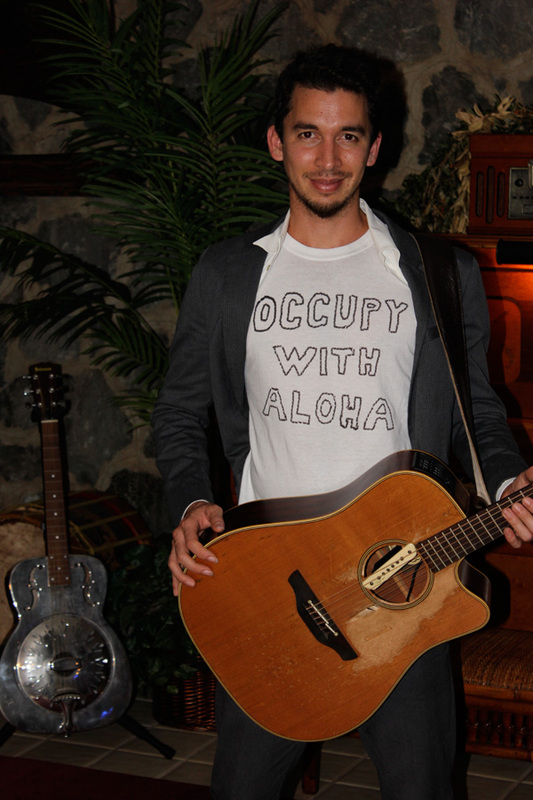 Makana reported that he sang "We are the Many," a song that he wrote to support the growing Occupy movement, for about 45 minutes. 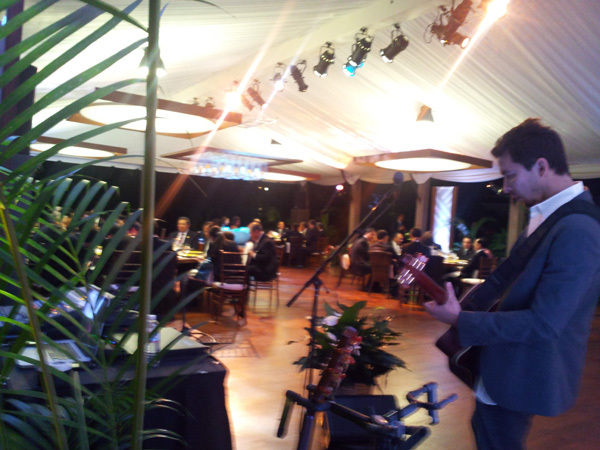 No one tried to eject him from the dinner or stop him from playing. Here is the YouTube video posted by Makana that morning. Click the thingy on the lower right for full screen. 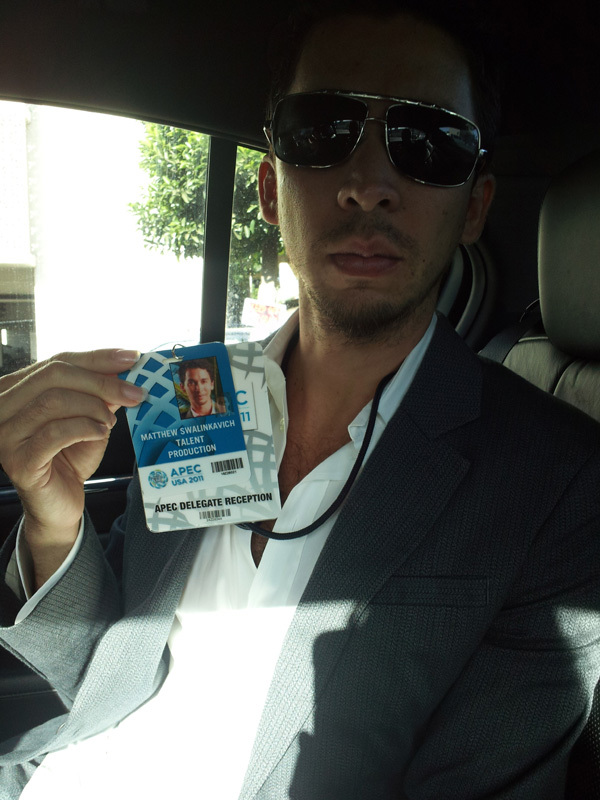 Video and photos from the APEC event itself follow. The material below is from the website Yes Lab, reproduced under their Creative Commons license. Read more about Yes Lab here. The material from Yes Lab is licensed under a CC BY-SA license. All original material on Disappeared News is licensed under the same Creative Commons license. 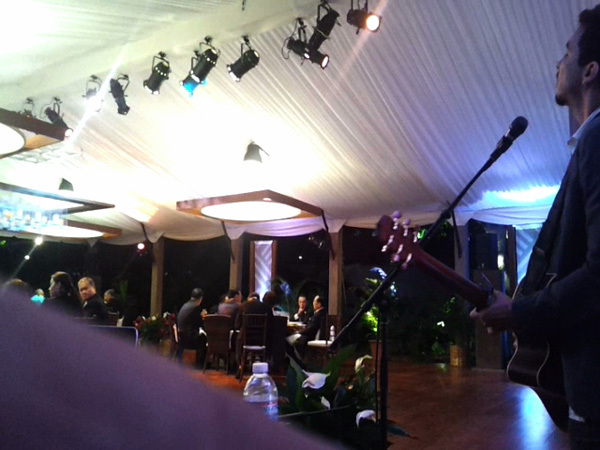 Absolutely the best part of APEC. Makana grabbed the WOrld's attention in a positive manner unlike the world leaders present. SOOO proud of him!